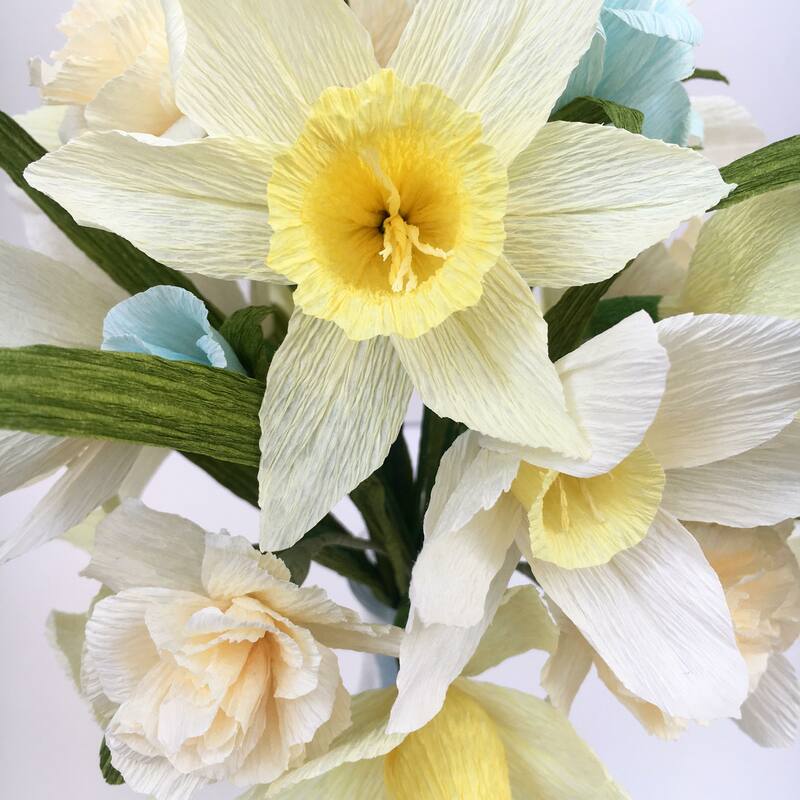 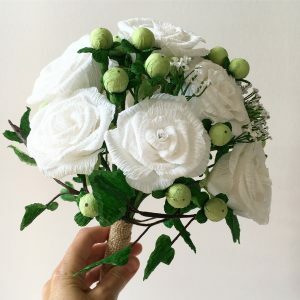 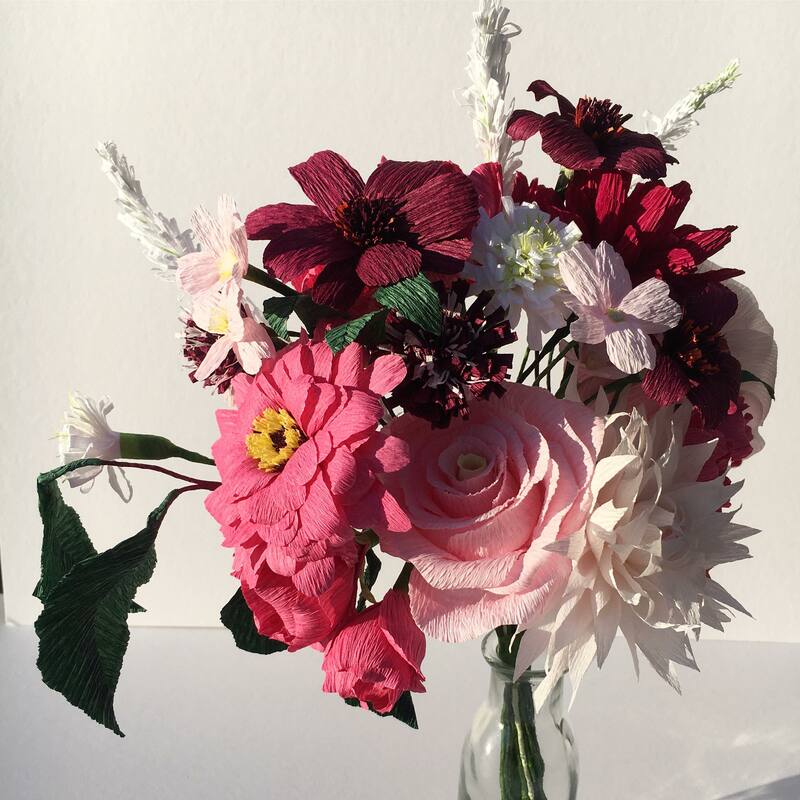 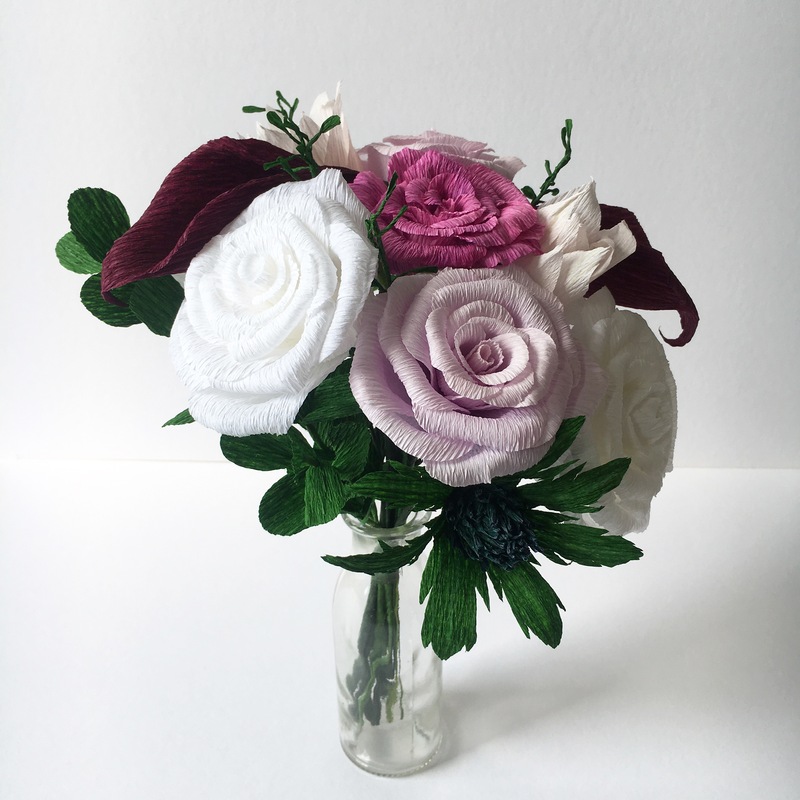 Hold on to your wedding day memories with a handmade paper recreation of your bridal bouquet. The perfect way to celebrate your First ‘Paper’ Wedding Anniversary and to forever treasure. A unique wedding anniversary gift. 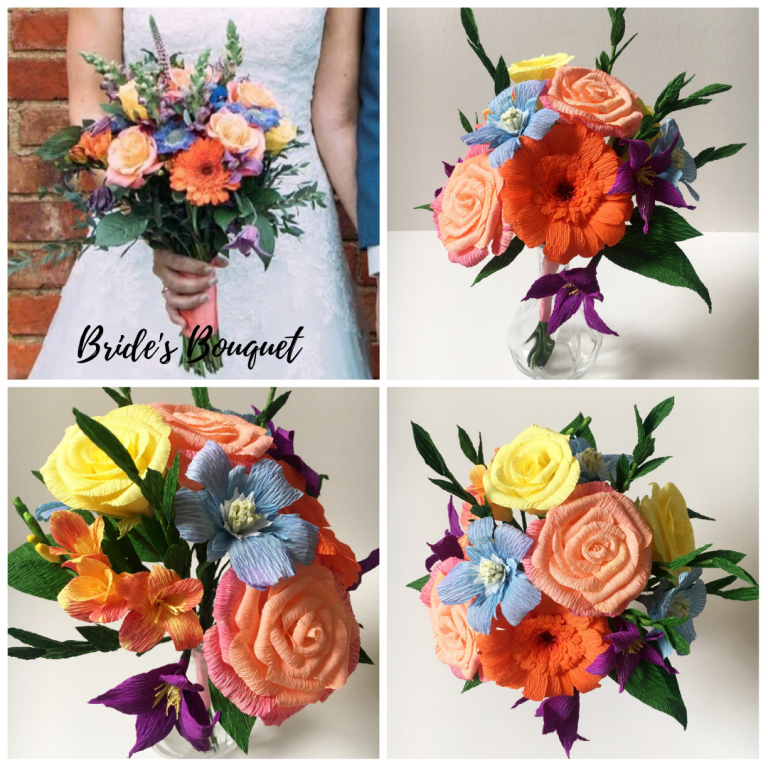 I work from your photographs to recreate your bouquet so simply email me a collection of images of the bouquet from different angles along with the date of your anniversary. I will then send you a quote detailing options to recreate. A 50% deposit is requested to place your order. 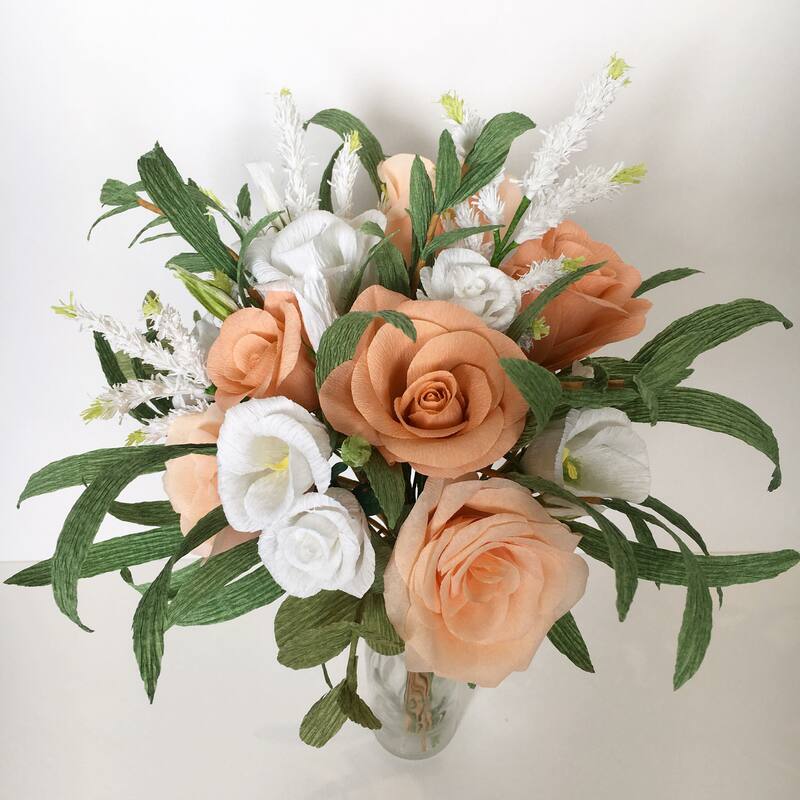 The bouquet is then handmade with love from paper, petal by petal in a smoke and pet free environment. 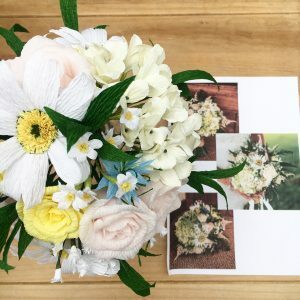 Completed with ribbons to match in your photographs and then carefully packaged and posted to your chosen address. 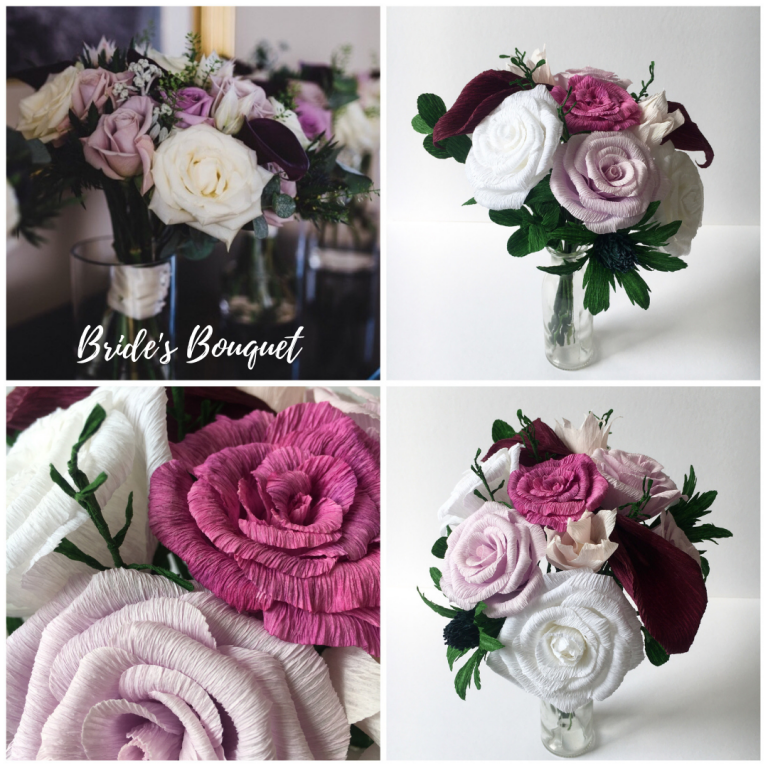 Please allow 3-4 weeks for your bridal bouquet recreation to be created and posted within one week of your anniversary date. 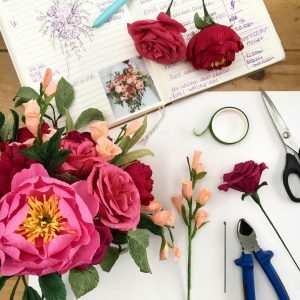 Parcels are sent Guaranteed Next Day Delivery by 1pm by Royal Mail. 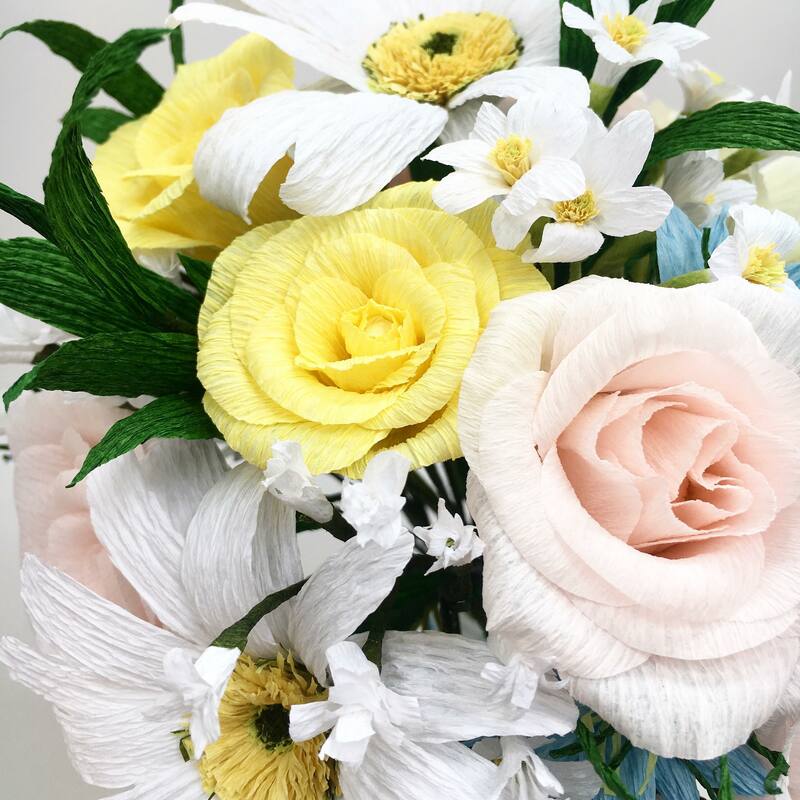 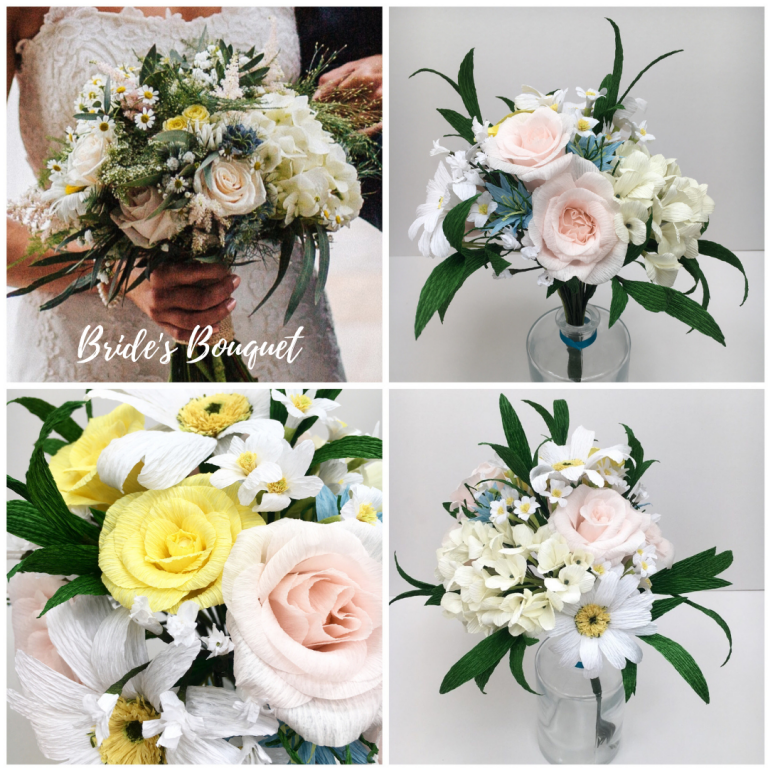 I just love to recreate bridal bouquets and to know that your replica wedding flowers are going to last like your commitment made to one another on your wedding day is very special. 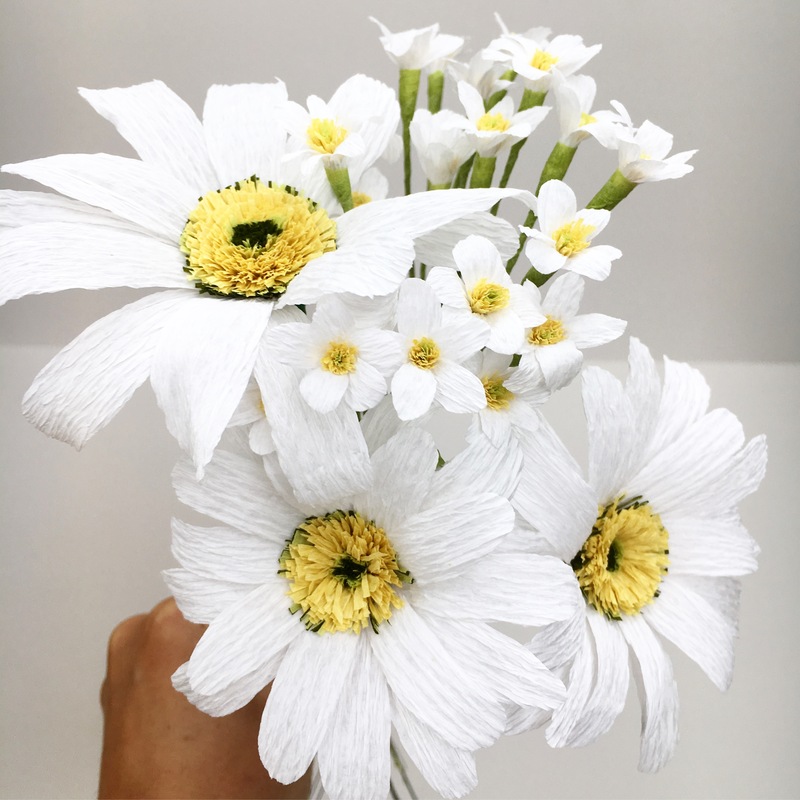 To keep your flowers looking at their best please avoid direct sunlight and moisture. 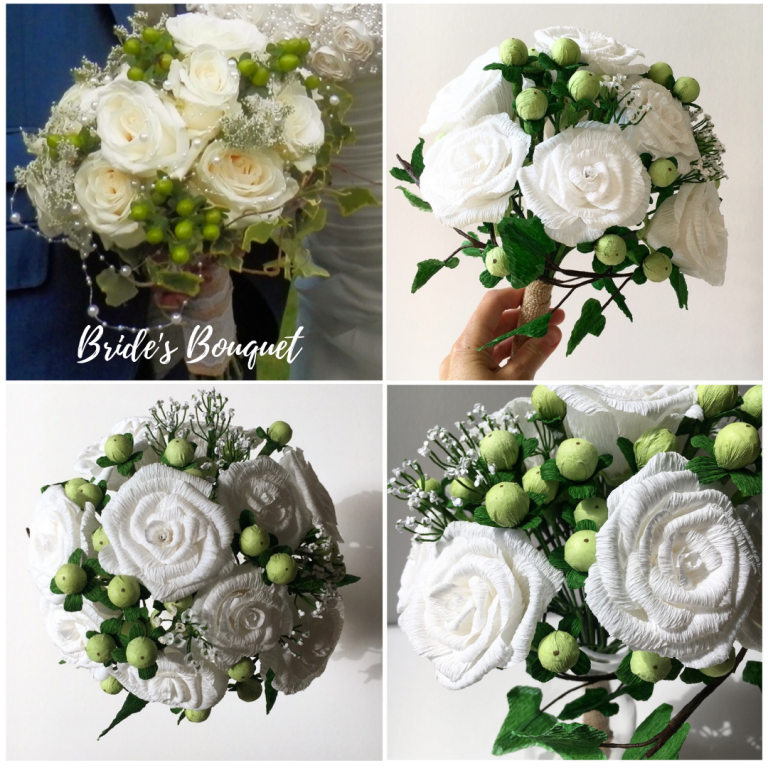 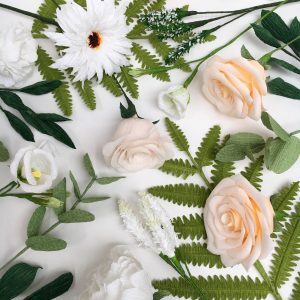 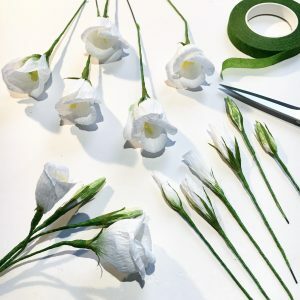 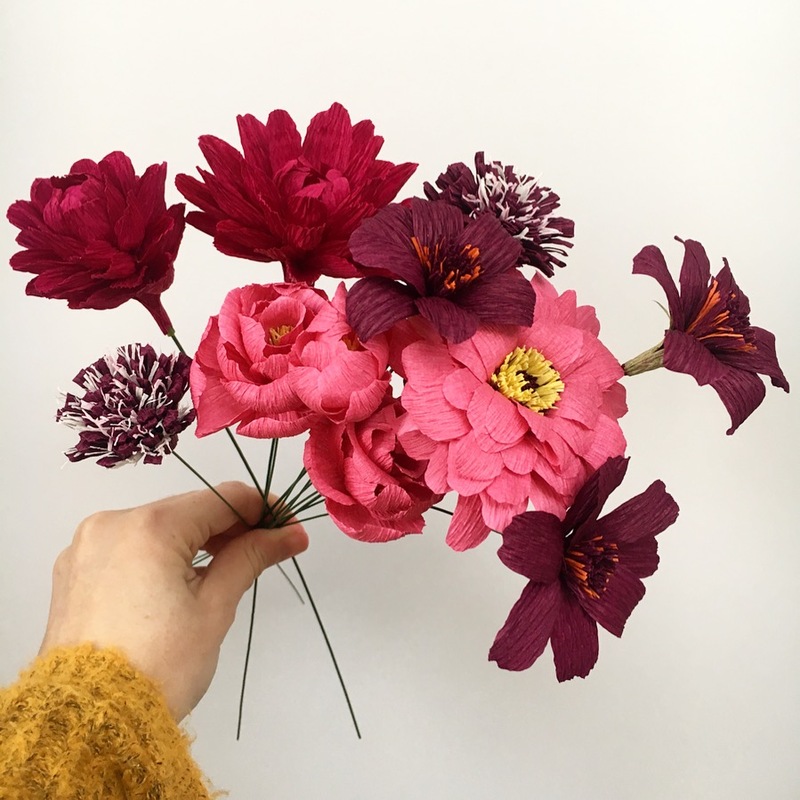 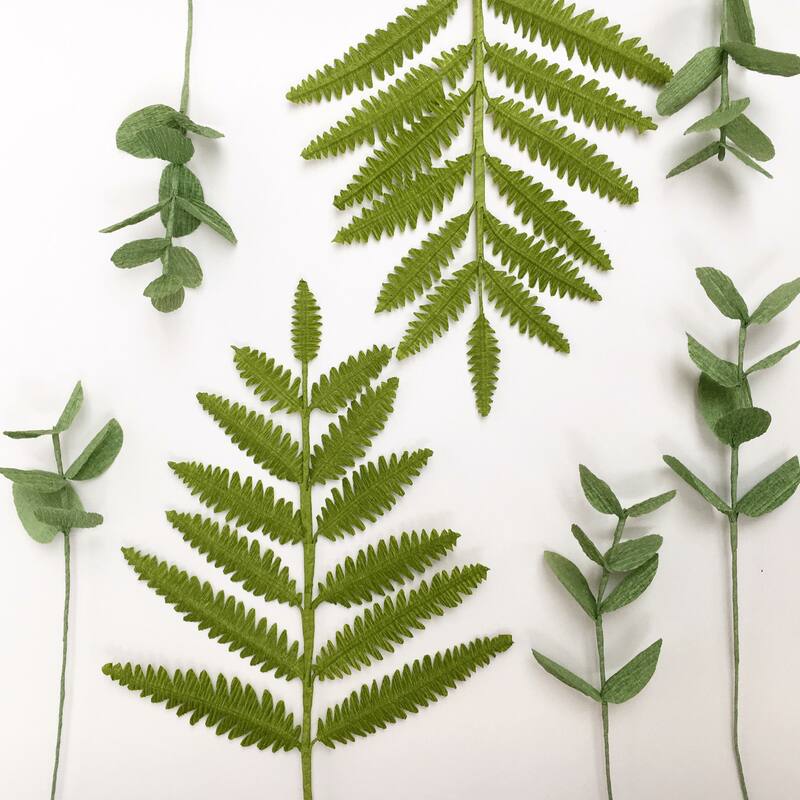 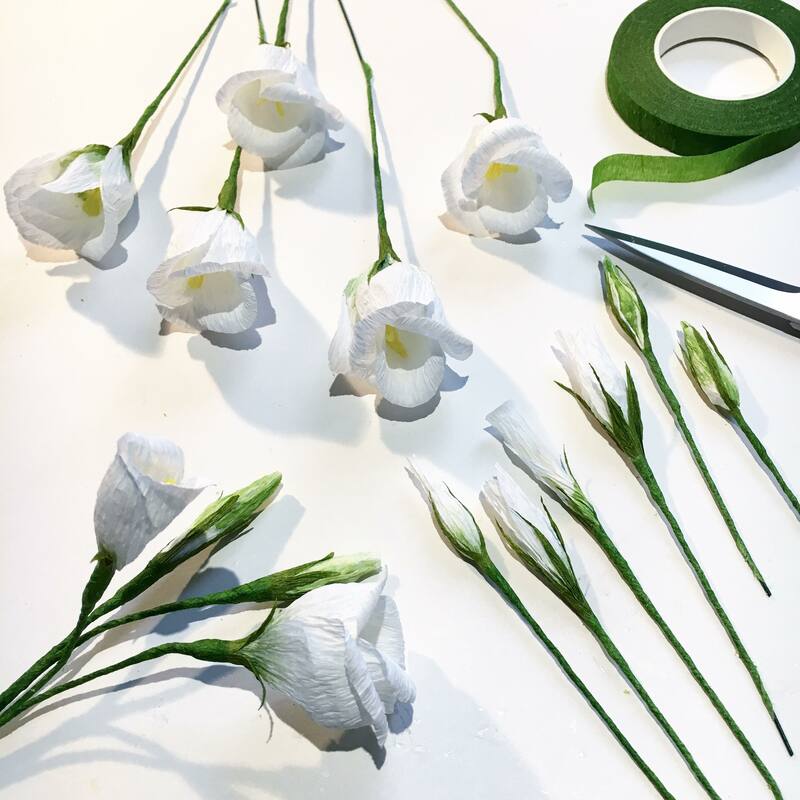 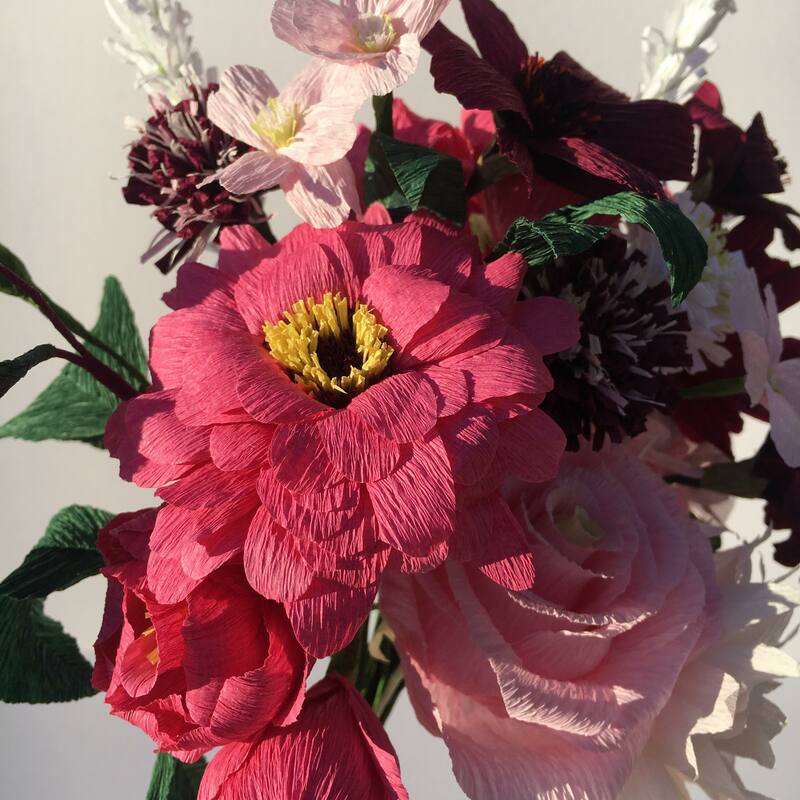 Please see below the variety of paper flowers and foliage that I have created for bridal bouquet recreations and you can keep up to date with my current work by following me on Petal & Bird Instagram. 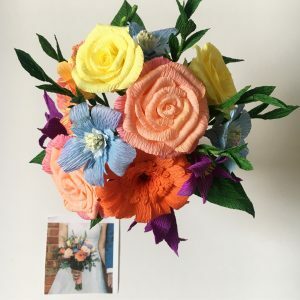 You can read more testimonials from my customers here. 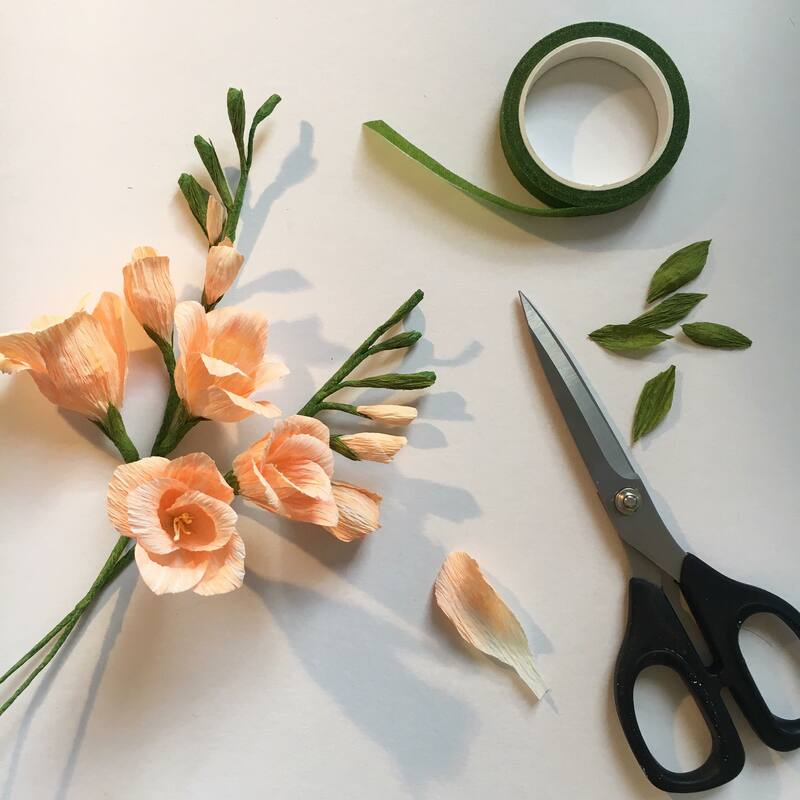 Creating paper bridal bouquet recreations to celebrate your first wedding anniversary. 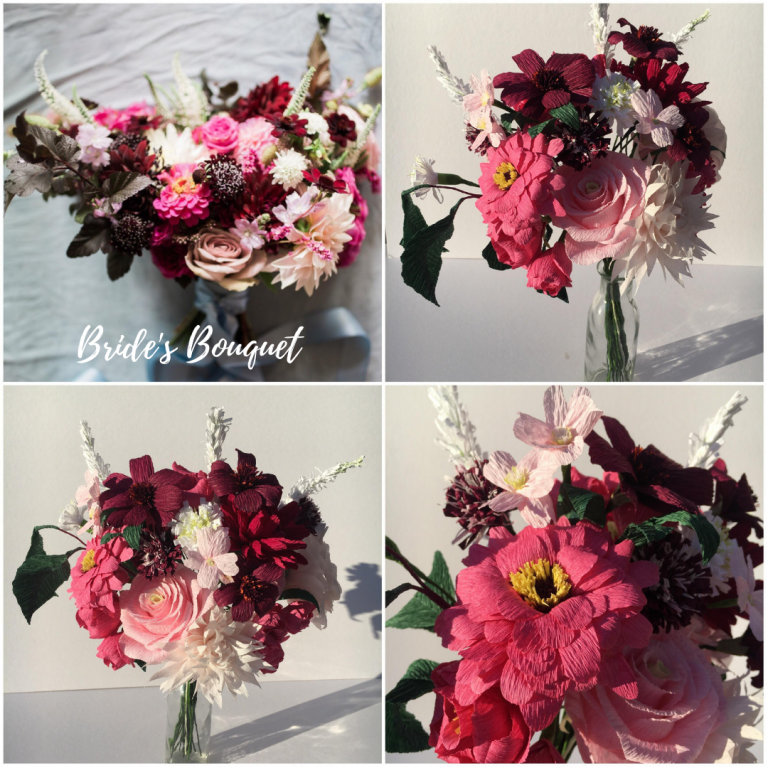 I can work to your budget so please contact me to discuss your order.